The high school application process in Chicago can be complex. At St John Berchmans School we believe that guiding students and parents as they prepare for the next steps beyond SJB is an important part in the educational process. Our junior high staff and principal work closely with eighth graders to find a school that is the best fit for that student – allowing them to be both challenged and successful in high school. St John Berchmans partners with Chicago School GPS and Test Prep Chicago to bring our junior high families a spring informational seminar that includes a comprehensive understanding of public, independent, private and Catholic high school admissions and testing requirements. 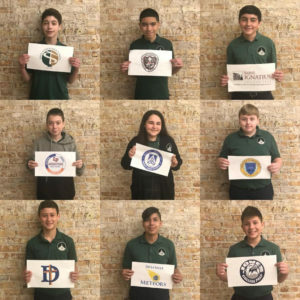 Our junior high students graduate from St John Berchmans with a great confidence in their academic abilities and social emotional learning ensuring their success in Chicago’s premier Catholic and public high schools.